Bosch offer a complete range of loudspeakers for sound and public address systems with a variety of shapes, sizes and performance characteristics. The selection of loudspeakers depends on a number of factors, such as indoor or outdoor use, speech or music reproduction, acoustic properties of the area to be covered and the required power output. 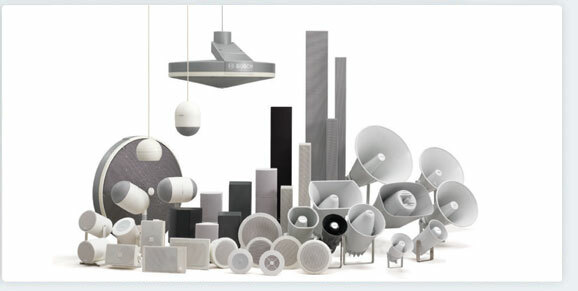 For more information about Bosch loudspeakers please do not hesitate to contact us directly. Or if you know which part you are looking for, please complete our loudspeaker quotation request form and our Bosch team will respond to your enquiry immediately.